Recent price weakness an opportunity to accumulate. Uptrend in property market intact. Expect APAC Realty to deliver stronger 2H18 earnings on strong project pipeline and active en-bloc activity. Reiterate BUY; Target Price reduced to S$1.22. APAC Realty’s share price has shed 35% from its recent high in March this year. Current valuation is attractive at 9.5x forward PE or -1.5SD, which is even lower than the 10x forward PE when it was listed in Sep 17. APAC is one of the purest proxies to ride on the uptrend in the Singapore property market. 2H18 earnings is expected to be stronger with more projects slated for launch. ERA is also able to secure a high market share for the projects that it has been appointed as marketing agent, as compared to other appointed agents. Its low risk fee-based business model enables it to ride on the property up-cycle and protects it in a down cycle. Furthermore, the recent acquisition of an office headquarters allows the group to build recurring rental income. ERA’s strong market share of 38% in terms of transaction value in the Singapore residential market allows the agency to reach out to a diverse base of potential property buyers. ERA has a pipeline of 11,343 units across 21 new project launches till 3Q18, which is significantly higher than the units secured in the whole of 2017. Successful sell-through rates for the various projects will set the stage for another record year in FY18F. Stronger-than-projected volumes could surprise on the upside. We maintain our projection of industry transaction value for the private residential market of S$52.2bn in FY18F (+15% y-o-y), and S$57.4bn for FY19F (+10%). Every additional S$1bn in transaction value adds 2% to our EPS and Target Price estimates. Reiterate BUY, Target Price reduced to S$1.22. Our Target Price which is based on discounted cash flow (DCF) valuation is lower now as we account for the debt financing portion for the new office building. In terms of PE valuation, we continue to peg the multiple to peers’ historical average of 15x FY18F earnings. 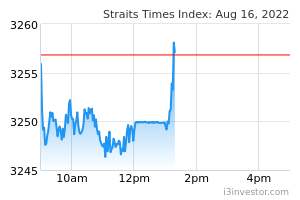 On a blended basis, our Target Price is reduced to S$1.22 (Prev S$1.32). 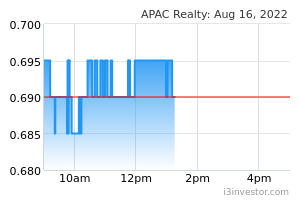 APAC Realty’s share price has shed 35% from its recent high in March this year. We believe that the current valuation is attractive at 9.7x FY18F PE and 9x FY19F PE as APAC is one of the purest proxies to ride on the uptrend in the Singapore property market. 2H18 earnings is expected to be stronger with more projects slated for launch. ERA is also able to secure a high market share for the projects that it has been appointed as marketing agent, as compared to other appointed agents. Its low risk fee-based business model enables it to ride on the property up-cycle and protects it in a down cycle. Furthermore, the recent acquisition of an office headquarters allows the group to build recurring income in the form of rental income. Reiterate BUY with lower Target Price of S$1.22 (prev S$1.32) based on blended valuation, after accounting for partial debt financing for the new office building based on DCF valuation, and maintaining PE peg of 15x on FY18F earnings. In this report, we also attempt to address whether Proptech is a disruptor or enabler; and analyse the low 1Q18 numbers and margins, and high receivables. We hosted a group meeting for APAC recently to address any concerns, if any, in view of the recent share price weakness. Key areas highlighted by the management include the industry dynamics on the back of a slew of new projects in the pipeline, en-bloc fever and the take-up rate for new launches. Management also addressed the lower margin trend going forward and provided more colour on the recent acquisition of the commercial building in Toa Payoh. the return of foreign interest. Foreigner purchases have historically ranged between 4%-18% (average of 9%) of total primary sales across the property cycle. At the current level of 5% to 6%, we can expect foreign purchases to rise. ERA has a pipeline of 11,343 units across 21 new project launches till 3Q18, which is significantly higher than the units secured in the whole of 2017. ERA has already launched seven projects and secured another 14 projects which will be launched during the rest of 2018. This is more than double the 4,800 units (from eight projects) launched by ERA in 2017, which points to higher growth potential for ERA. En-bloc sales have been very active. The first five months of 2018 already chalked up S$8.8 billion worth of collective sales deals, and exceeded 2017’s S$8.7 billion. A portion of the sale proceeds is expected to be ploughed back into the property market for replacement homes or investment purposes. The redevelopment of these en-bloc sites will add a significant number of housing units to the existing supply pipeline. The number of potential units from the redevelopment of en-bloc sites (13,200) and available parcels on Government land sales (6,900) could add up to 20,100. YTD, ERA has launched seven projects - New Futura, The Tapestry, The Verandah Residences, Park Place Residences, Rivercove Residences, and Twin VEW. For these projects, ERA has secured a market share of 41.6% in terms of number of units sold as at 23 May 2018, as an appointed marketing agent. The latest project, Affinity at Serangoon, was launched in June, and is not included in the tabulation. The market shares for the next two marketing agents are 30% and 19% respectively. Thus, ERA is clearly the leader in terms of total sales for the projects that it is appointed as marketing agent. The bulk of APAC’s revenue is from commission generated from property transactions. This fee-based business model allows APAC to ride on the property up-cycle due to more new project launches and the more active secondary resale market. In a down-cycle, developers may have to offer higher commissions to agents in order to move their project sales. Thus, APAC was able to maintain profitability in the last 10 years even during the recession period. APAC Realty recently proposed to acquire a commercial building at Toa Payoh for S$72.8m, which is at current valuation. The vendor is Hersing Corporation, which was previously the listed vehicle of ERA but was delisted in 2012. Some of the current tenants are enjoying preferential rental rates under the previous owner. The lease of these tenants is not likely to be renewed. APAC would then be able to charge new tenants market rates when they come onboard. Occupancy rate for this building is about 90%. APAC intends to retain 50% of the space and lease the balance 50% to third parties. For its own 50% of space, APAC intends to sub- lease a portion to its own agents. Thus, APAC would be able to generate rental income from third parties and from its agents. The higher rental, which is expected to double from the current of S$2m, could kick in from FY19F. Other than rental income, APAC is also beefing up its other non-brokerage business. Though this segment only contributes 2% to FY17 topline but at the gross profit level, it contributes 15% as gross margin is high at 90%. Non- brokerage business includes property valuation, property management, training and franchise. About 60% of non- brokerage gross profit consists of services offered to agents. The use of technology in the property industry, or "proptech" is gaining a lot of traction today. Different types of services are now available online. These include databases such as REALIS in Singapore, or platforms that enable property agents as well as property developers and owners to showcase their listings on a single online portal, e.g. PropertyGuru that was launched in 2007. There are also portals for commercial leasing (CommercialGuru), public housing transacting and rental (Ohmyhome) to market research (DREA). PropertyGuru has also launched a mobile showroom where users are able to walk through potential apartment listings via virtual reality devices. While proptech aims to enhance the experience and convenience for the consumer, and provide greater convenience for home buyers and sellers, it bypasses the traditional third-party service providers such as property agents and consultants, to a certain extent. According to data from HDB, the percentage of resale buyers and sellers who do-it-yourself (DIY) has been rising, from about 11% in 2010 to 28% in 2017. Going forward, we expect this trend to continue rising. However, while proptech should be adopted to improve processes and efficiency, certain elements of the real estate industry cannot be entirely replaced by technology. Human touch is still vital, especially for big ticket items such as property transactions. Thus, the experience and knowledge of property agents still bring value to the equation. Property agents and technology platforms can co-exist alongside one another. Technology can help agents to be more productive, cut down on admin and focus their efforts and energies on marketing and closing the deal. The winners are those who are able to fill the gaps which artificial intelligence and technology cannot perform, while maximising the boundless opportunities that technology offers. Agents who provide value-added services will be the ones making the most out of this, while those who act as mere middlemen in the transaction could be replaced. The overall market transaction volume for 1Q18 saw a 67.3% y-o-y rise for the private secondary market but primary sales registered a 46.6% drop as few projects were launched in 1Q18. In terms of ERA’s transaction value for 1Q18, the secondary market also fared better than the primary market - 19.6% was from private primary sales, 51.6% from the secondary market, 23.6% from HDB resale and the balance 5.2% from commercial resale and leasing. We are not too overly concerned about the low 1Q18 numbers as traditionally, for resale and rental, 1Q is always the lowest in the past few years, while 3Q and 4Q are always the strongest. For the primary market, it is dependent on project sales. In 2017, it was more front loaded. More transactions were closed in 1H17 and the booking of revenue, which is usually three to six months later, was in 2H17. For 2018, most of the projects, about 14 of them, are expected to be launched in 2H18. Furthermore, out of the > 50 en-bloc sites transacted in the past two years, less than five have been launched and the balance will be launched in the next one to two years. The gross margins for APAC for all the segments have been on a declining trend. The lower gross margins were due to higher commission payout to agents and also alignment with the industry rate. The lower gross margin of 12.2% in 1Q18, vs 15.1% in 1Q17 and 13.7% in FY17 was mainly due to higher payout to agents as they gradually moved up the commission scale. To recap, agents generally get between 70% to 90% of the total commission received. ERA has also adjusted its commission structure to align with the industry standard. Going forward, margins are not expected to revert to the 2017 level and should stabilise at about 6% to 7% for resale leasing, and 18% to 20% for project sales. Trade receivables as at 31 March 2018 was high at S$70.9m, representing 52% of current assets. The high receivables was mainly due to the nature of the booking for commissions received for property transactions. Commissions earned by agents from property sales or rentals are paid directly to ERA. Subsequently, the agent’s share of commission is deducted and paid out to the agent, in a 70% to 90% split to the agent. Thus, the bulk of the receivables represent agents’ share of commissions. Despite the high trade receivables, provision for doubtful debts was only S$0.5m (vs S$1.1m in 1Q17), mainly from overseas exposure but APAC generated the bulk of its revenue from Singapore. Thus, there is negligible provision for doubtful debts despite the high receivables.